The World Steel Association has doubled its 2019 forecasts for global demand growth for the material used in everything from cars to construction, but warned that the outlook was clouded by trade tensions. Steel demand is expected to rise 1.4 per cent this year to reach 1.681 billion tonnes, the body, commonly known as worldsteel, said at its annual general assembly in Tokyo. That is double the 0.7 per cent growth it forecast in April, last year. Still, that would mark a slowdown from the 3.9 per cent growth in demand expected for 2018, to 1.658 billion tonnes, driven by the world’s biggest consumer, China. In April, worldsteel said it expected 2018 demand to rise 1.8 per cent from last year. The steel industry, worth about $900 billion a year, is seen as a gauge of world economic health. Worldsteel represents more than 160 steelmakers accounting for 85 per cent of global output. Trade tensions between the US and China, along with capital outflows from countries including Indonesia, are clouding the world’s economic outlook. “Global steel demand faces uncertainty from tensions in the global economic environment,” worldsteel said in its outlook. Steel use in China was expected to rise 6 per cent in 2018 to 781 million tonnes and be flat in 2019, the body said. “China steel demand growth is expected to decelerate in the absence of stimulus measures,” worldsteel said. Consultancy CRU estimates that gross domestic product growth in China, which produces and consumes half the world’s steel, could drop by up to 1 percentage point if Sino-US trade tensions hurt investor confidence. In the first half of 2018, Chinese steel demand got a boost from a stimulus package aimed at real estate and the strong global economy. However, continued economic rebalancing efforts and toughening environmental regulations will lead to deceleration of steel demand toward in China at the end of 2019, Worldsteel predicted. Both downside and upside risks exist for China, it said. Downside risks come from the ongoing trade friction with the US and a decelerating global economy. However, if the Chinese government decides to use stimulus measures to contain the potential slowdown of the Chinese economy in the face of a deteriorating economic environment, steel demand in 2019 will be boosted, it added. China continued to close most of its outdated induction furnaces in 2017, a category which was not captured in official statistics. While nominal steel demand growth in China in 2018 is expected to reach 6.0 per cent, the dynamics of steel using sectors suggest growth of 2.0 per cent in real terms. Accordingly, real global growth in 2018 is 2.1 per cent. 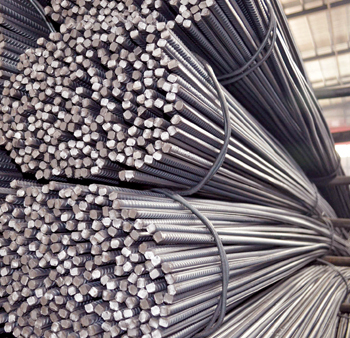 Steel demand in developed economies is expected to increase by 1.2 per cent in 2019. Demand in the US for steel grew strongly in 2017, benefiting from strong consumer spending and business investment supported by tax and regulatory changes and fiscal stimulus, although growth in the construction sector moderated,” the association said. Steel demand growth in 2019 is expected to slow as auto manufacturing and construction activity is expected to see modest growth in the US. The manufacturing sector, however, is expected to perform well thanks to the strength of the machinery and equipment sector. At the same time, the developing world’s steel demand recovery continues, but is facing challenges. As India recovers from demonetisation and the goods and services tax (GST) implementation, India’s steel demand is expected to move back to a higher growth track. Steel demand will be supported by improving investment and infrastructure programmes, although ‘stressed government finances and corporate debt weighs on the outlook,” for steel in India, said Worldsteel. Sluggish construction activities and stock adjustments led to slow growth of steel demand in the Asean region in 2017 and 2018, but demand in the Asean region is expected to resume its growth momentum backed by infrastructure programmes in 2019 and onwards. In the Gulf Cooperation Council (GCC) countries, reforms and a stronger oil market have led to an upward momentum in steel demand, but at a slow pace. The outlook for Iran has turned less favourable due to the reinstatement of sanctions by the US.